PileMedic® laminates are considerably stronger than steel. Typical mild steel has a tensile strength of 36000 psi. 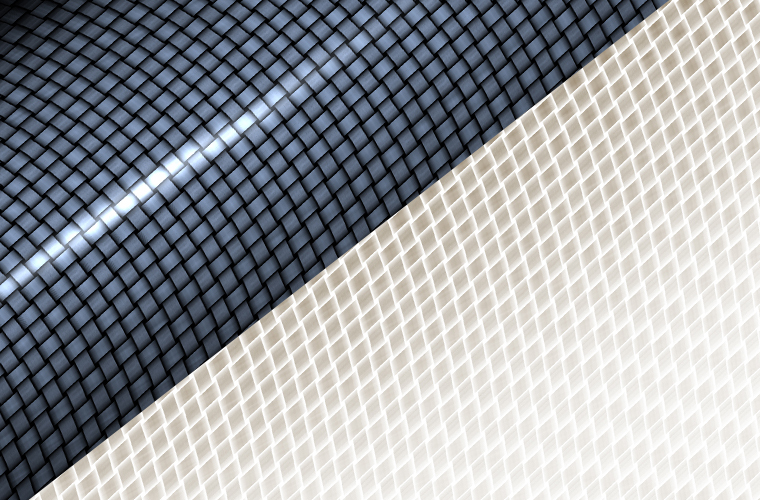 PileMedic® laminates have tensile strength ranging from 60,000 to over 155,000 psi! PileMedic® laminates are a One-Size-Fits-All system. No more delays if a pre-manufactured shell doesn't fit. 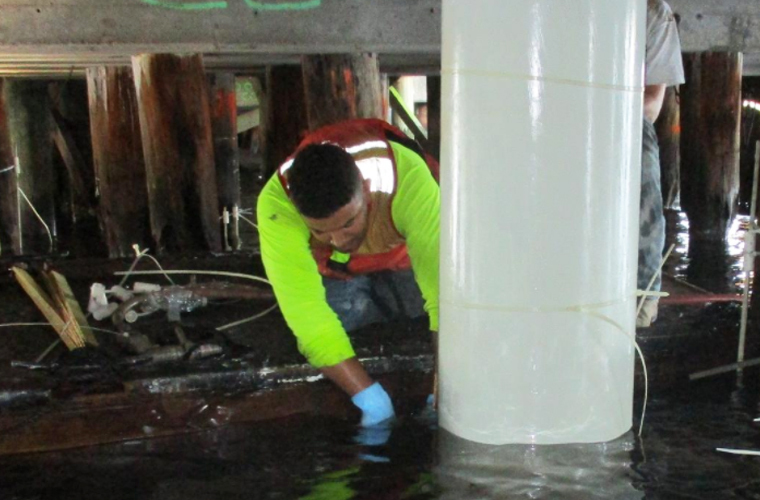 PileMedic® is wrapped around the pile at the waterline and slid down the pile while another laminate is wrapped around the pile with a small overlap on the previous jacket. 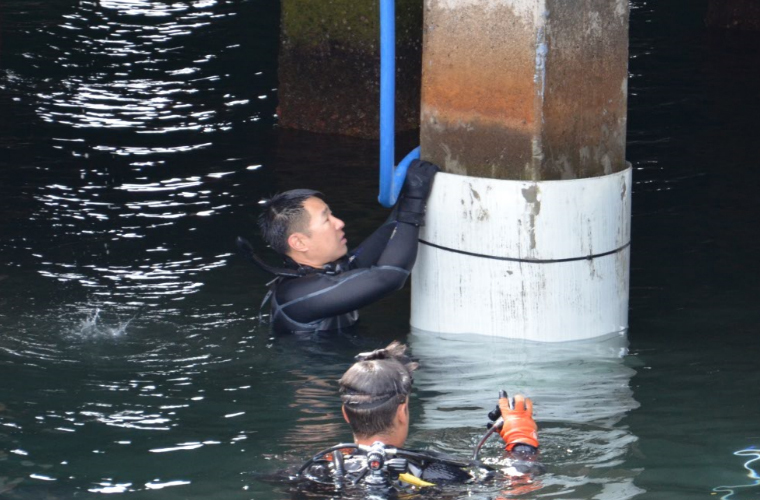 This process eliminates the need for divers to assemble jacket shells underwater. This is the quickest and most economical method to wrapping piles. 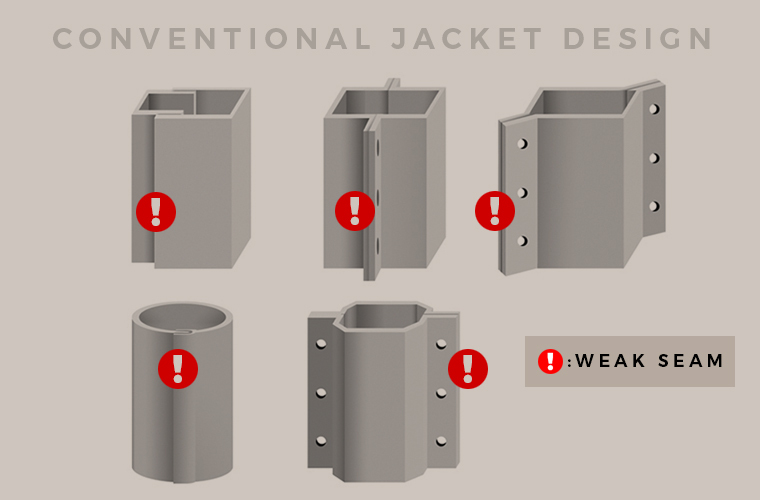 All other pile jackets have either one or two weak seams along the height of the jacket that must be bolted or epoxied in the field. These seams introduce planes of weakness in the jacket. The strength of the fibers in a jacket cannot be developed to provide structural confinement when they terminate at a seam. Weak seams are also an entry point for water and oxygen to weaken the system overtime. Drilling dozens of holes into a fiberglass jacket seam guarantees that water/oxygen transmission will take place. Expansion and contraction of materials and pile movement will cause these holes to enlarge over time. 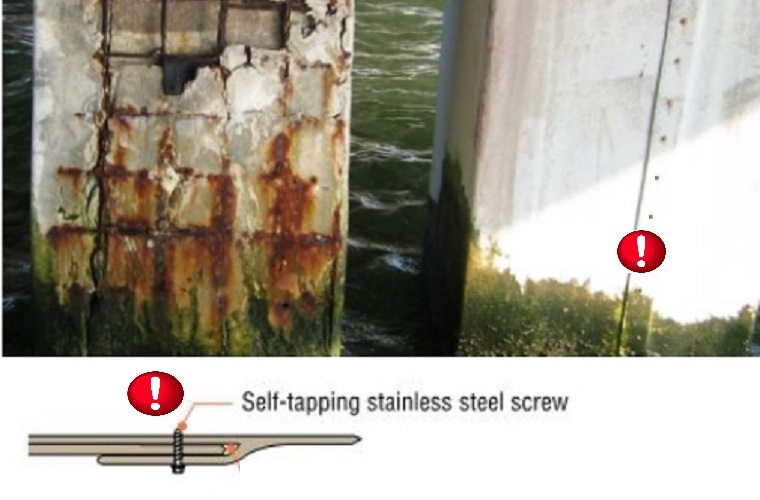 This process speeds up corrosion underneath the repair. PileMedic® is the only product on the market that allows construction of a seamless cylindrical shell around an existing pile or column. 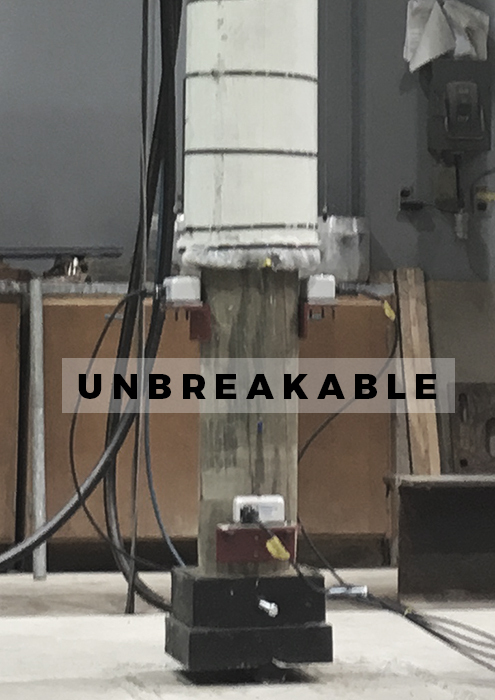 When wrapped around a pile or column, the jacket provides a tremendous confining pressure on the column or pile. 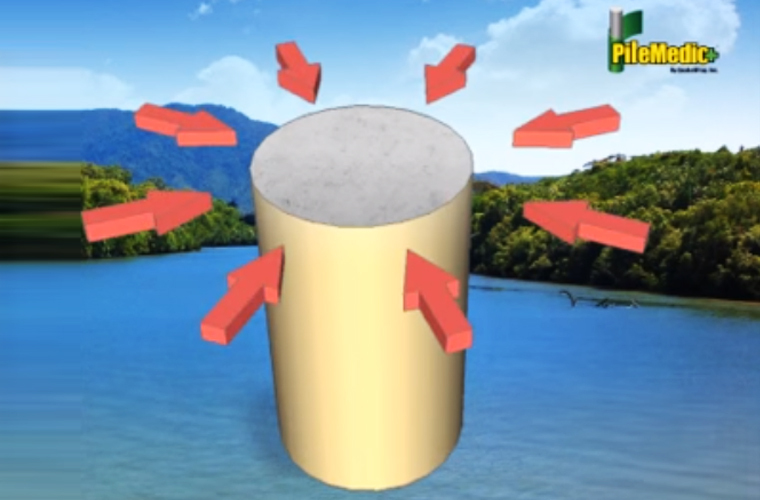 The level of confinement relates to the axial load a column or pile can take. PileMedic®’s confinement has been shown to withstand the expansive properties of Alkali-Silica Reaction (ASR) and Delayed Ettringite Formation (DEF). PileMedic® installation is not a dive intensive process. PileMedic® laminates are wrapped around the pile at the waterline and slid down the pile while another laminate is wrapped around the pile with a small overlap on the previous jacket. 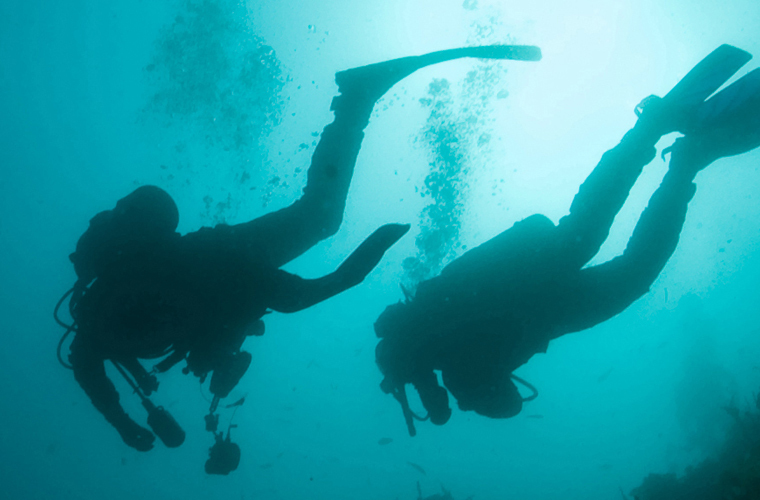 This process eliminates the need for divers to assemble jacket shells underwater. This is the quickest and most economical method to wrapping piles. Other pile jacket systems come in standard sizes. These standard sizes lead to larger annular spaces which add dead load to the host pile. PileMedic® is also the only structural jacket that requires no hoop steel allowing us to keep the annular space to a minimum. The annular space is determined by our spacers that get wrapped directly onto the host pile. These spacers are designed to allow just enough space for grout to flow around the annular space. Why add to the dead load, material cost and construction time if you don't need to?